Day three usually brings a mad rush to hit the rooms that you don’t want to miss, plus the “must hear” rigs heard about via the grapevine. Still, day three is triage; some rooms are cut from the list while others survive. Here are the “last gasp” day three entrants this year. 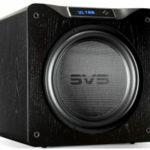 Some systems bring a stunning amount of sound quality far beyond expectation. 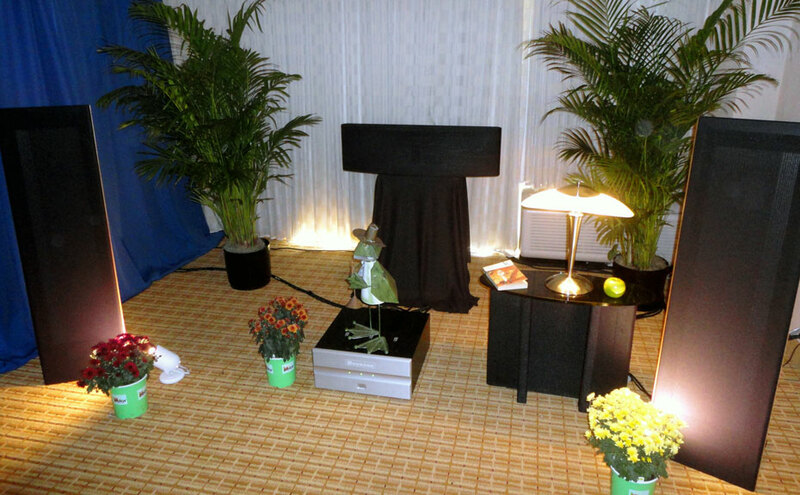 Thus was the case with the Sonist Loudspeakers, Snake River Audio, and Increcable room. 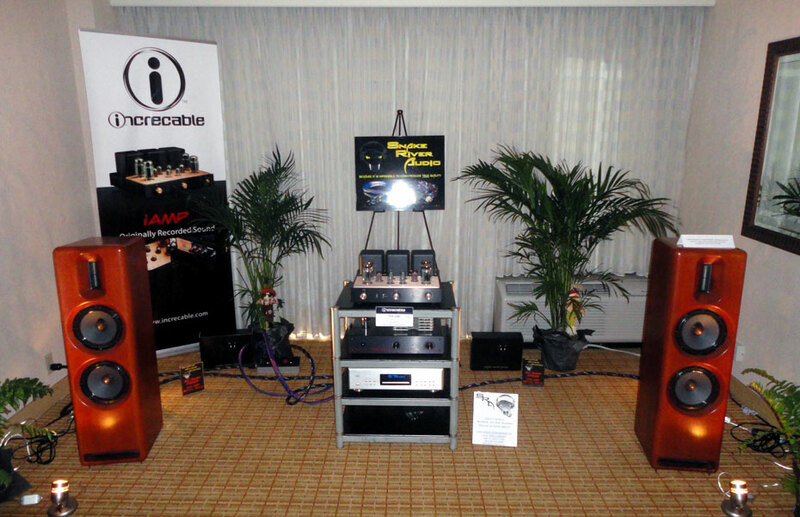 This affordable rig highlighted the Increcable TIA-280 Tube Amplifier ($5.5K), a loom of Snake River Audio cables ranging from the Mamushi 1M RCA Interconnects ($1,849) to the Bi-Wire Cottonmouth Speaker Cables (3M/$2,499), and the Sonist concerto 4 Loudspeaker ($5,895). 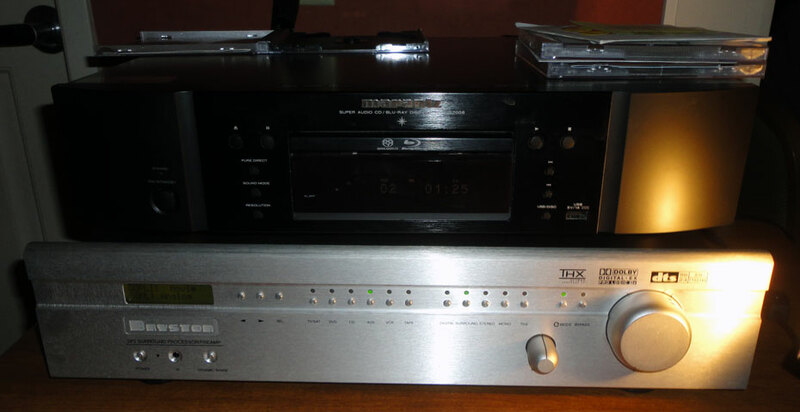 Also in use were a Cary 306 Pro SACD/CD Player ($8K) and deHavilland Mercury Tube Preamplifier (est. $4.5K). Here was a system with cabling at the same price point as the speakers, but it was one of the most engaging among smaller tower speaker systems. 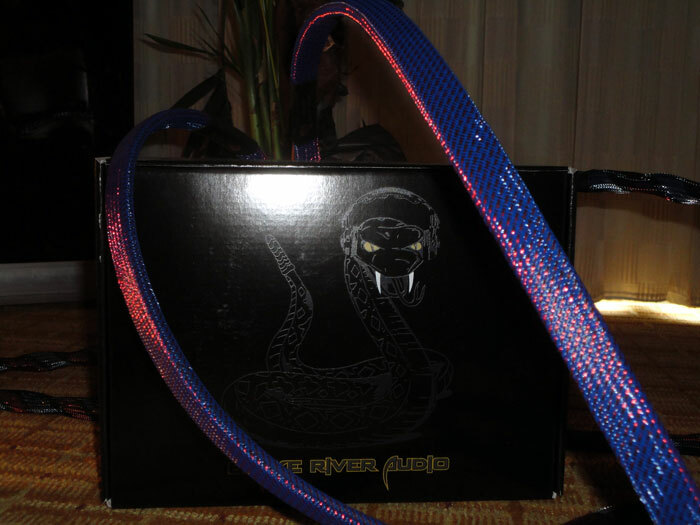 The quality would likely be pleasing for even the most hard-core enthusiast. I have come to expect nothing less than exceptional sound from the pairing of VAC (Valve Amplification Company) and Gershman Acoustics. I was not disappointed in either the upper echelon rig or the one which was somewhat more affordable. 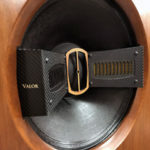 I have heard VAC paired with Tannoy, but prefer the Gershman speakers with these electronics. 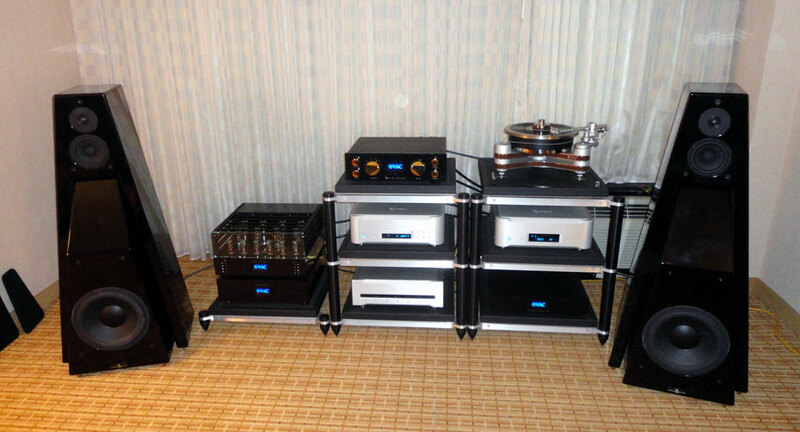 The larger system was comprised of Esoteric P-O2 SACD/CD Transport ($23.5K), D-O2 DAC ($23.5K), G-ORb Master Clock Generator ($17,800), Clearaudio Innovation Wood Turntable ($11K) with Clearaudio Universal Tonearm ($15K) and Goldfinger Statement Moving Coil Cartridge ($15K) as sources. 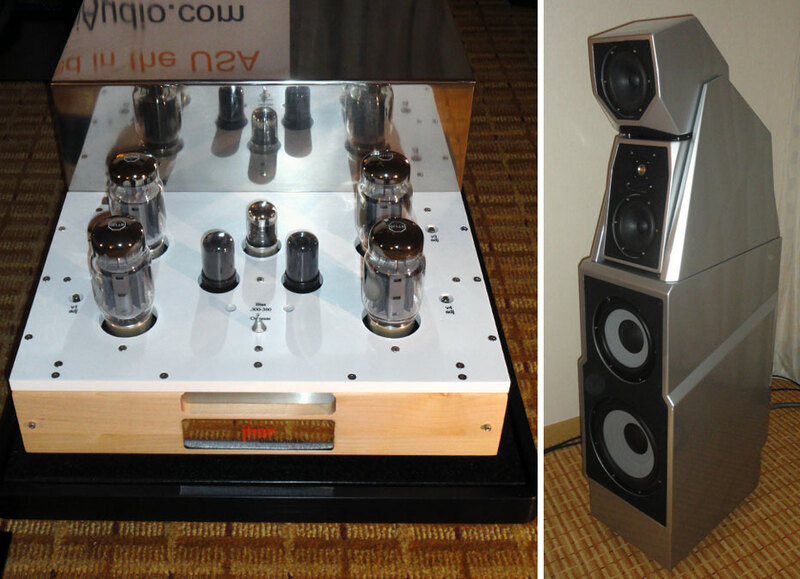 The VAC Signature Preamplifier MkIIa with Phono ($19.5K) and 450S Stereobloc ($39K) drove the Gershman Acoustics Black Swan ($45-50K depending on finish). The more petite but no less enchanting alternative system was comprised of the Gershman Avant Garde Speakers ($8-10K depending on finish), VAC Sigma 160I Integrated Amplifier ($9990) and Esoteric K-O5 CD Player ($10,900). Both rooms used Gershman speaker cabling. 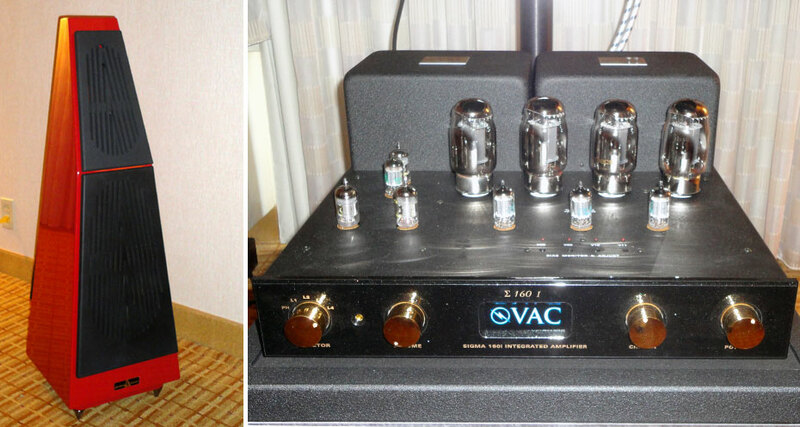 Here were two dramatically different priced systems offering high quality, as one show goer who spied the VAC gear summarized for his companions, “Now this is a known quantity of Excellence!” I’m not quite sure how one quantifies excellence apart from price, but if that were the criteria, though these systems were pricey, the performance was indeed excellent. 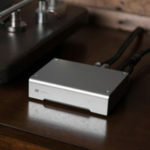 The new Magnepan MMG ($599/pr) was in a “3-channel stereo” demonstration with a Marantz UD 7009 Universal Player ($999) and Bryston SP-3 Surround Processor/Preamplifier ($9.5K). Also utilized were the Maggie Bass Panel (MMG/pr with single DWM bass module; $1,394), as well as a CC5 Center Channel ($1,095) . 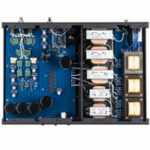 I applaud Magnepan for holding forth with three-channel audio; it is a refreshing and much needed reminder to the community that a great audio experience is not limited to two speakers. However, this was not a demo of the MMG/DWM combo as much as three-channel audio. I could tell easily the profound influence the CC5 was having on the entire performance. From what could be ascertained the MMGs seem to hold the same terrific performance-to-value ratio that they have historically. Paragon Sight and Sound set up one of the more enchanting systems using one of my favorite larger speakers, the Wilson Maxx 3 ($69,500), assisted by Wadia S7I CD Player ($13,950), Playback Designs MPD-5 DAC ($13K), SME Ltd. 20/3 table with Series V Tonearm ($15.5K) and Koetsu Urushi Vermillion Cartridge ($5,850). Notable was the Doshi Audio amplification including the Alaap V.3.0 R/C Line Stage Preamplifier ($14,995) and Jhor 160 Monoblock Power Amplifiers ($28,995/pr). Transparent Audio cabling was used throughout the system. 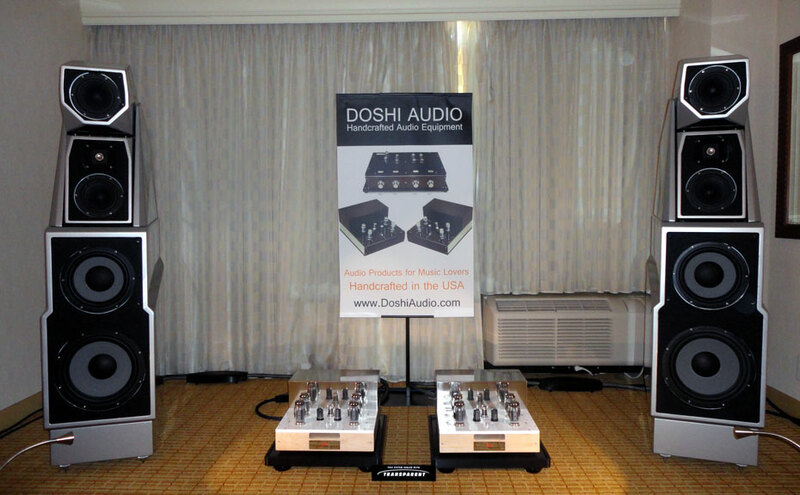 This was my introduction to Doshi power components, and it was memorable! The Maxx 3 had never sounded sweeter. The show ended on a very high note; this last system left me with a very positive feeling about new designers like Nick Doshi as well as established brands like Wilson Audio.